Nice find Warrior! Mousetrap was a blast. Thanx for posting it, I had forgotten about it. 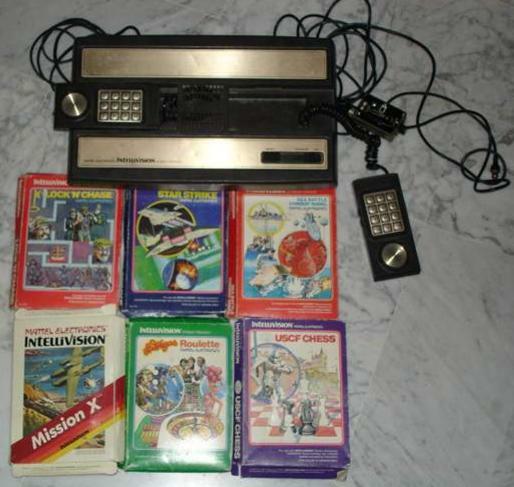 I had an Intellivision as a kid. I remember thinking the INtellivision was so much better than the Atari. My friends and I would go to this kids house and be in awe of his Intellivision. Not a very clear photo I've found but was it anything like this alien,I can remember these systems but I think they were more popular stateside than here in the united kingdom. Yeah, that's an Intellivision. The Intellivision was indeed superior to the 2600, but ALL of my buddies owned a 2600 -- so I felt a little out of the loop. Also, there were far more games developed for the 2600, and the Intellivision had probably the worst controllers ever devised. https://youtu.be/rIaWAyHIqok - Atari game over trailer. 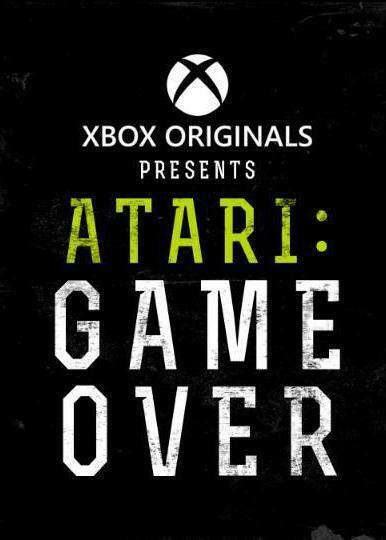 Anybody seen the trailer for this - Atari game over - documenting the rise and fall of the Atari video games corporation,looks pretty interesting! Awesome trailer, i want to see this! Never owned an Atari. My dad had a Radio Shack TRS-80 Color Computer though with a ton of games on it that he used to let us play once in awhile. I played the Atari at my friend's houses who did own them. But from what I saw, the games on my old man's computer blew the games on Atari out of the water. The NES was the very first system that my parents bought for me that was solely mine. 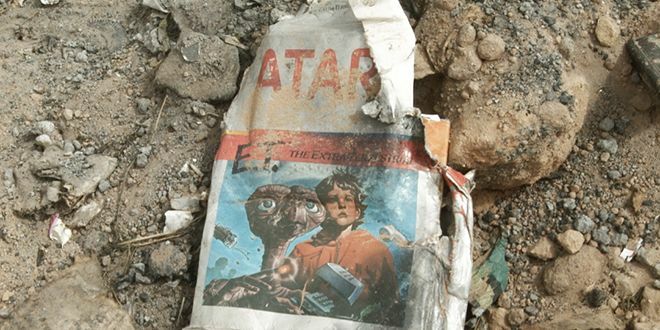 So the ET game killed the Atari off? It's not really that simple, but it damaged the company just before an industry wide slump hit. What caused the slump? It felt to me that people still played Atari until Nintendo came out. I had an Intellivision myself. Among my favorites were Lock 'n Chase, Night Stalker, and Shark, Shark!! If I recall correctly - there was some overestimation of the market which caused companies to lose money, the competition increased, and people started moving from consoles to PC's, which caused investment in console games to flatline for a while and PC's took a few years to catch up in potential gameplay improvement so the whole market kind of went creaky for five years or so after a few boom years. Think of it like the dotcom bubble; boom, burst, chaos, some survivors become giants. There was complete over saturation with the consoles. You could buy an Atari or the version Sears would sell. Consoles were every where. Don't forget the sheer volume of shovelware released. E.T. is just the convenient scapegoat. I'd even add something else that did in Atari and that would be when the big name programmers starting jumping ship. All pretty decent,Laser Blast is a bit repetitive and Air Sea Battle only makes for a fun Two player game but both still worth the small fees that I paid. Kangaroo was the surprise one for me as I found it quite addictive as is Asteroids and Berserk. A lot of those early Atari games are still excellent and addictive. I had a couple of cartridges of Atari emulations for my Sony PSP (now a dead system too), and I loved playing a bunch of them. Yeah quite a few of them are really challenging and also very addictive,plus if your using one of the old Atari controllers absolute murder on your hands! PSP is a fun little handheld,i always liked the Rocky Boxing game that they released on it,was great fun! You have quite the collection going there Warrior. Do you have the Atari Technology shirt? If not you should get one. To my surprise, there have been a few people start conversations with me when I am wearing mine. Just two days ago a guy grabbed me and was talking about his 5200 and all his buddies had the 2600. He gave me the impression that the 2600 he liked better. The funny thing is that you mentioned the Kangaroo game on here and this guy that grabbed me actually brought it up. He had it on 5200 and said it was pretty good. I thought of you when he mentioned that game. I don't remember that one but will keep an eye out for it for sure. Kangaroo doesn't look much up on screen even by Atari 2600 standards but it plays great and is one the of the better platformer's for the 2600. Bit of a mixed bunch these turned out to be with - No Escape being my pick of the bunch followed closely by Bump 'n' Jump and Venture,Dragster by Activision (Who developed some of the 2600's very best titles) was slightly disappointing as was Miner 2049er and Street racer. Grabbed a couple of Atari 2600 games whilst looking around my local town centre I got a boxed copy of Decathlon and Space shooter Demon Attack which I didn't realise I already own so hopefully the shop keeper will let me swap it for another title next time I visit! https://youtu.be/iIg4iCgbRbo - Atari 2600 Decathlon review. https://youtu.be/UjhCh8qwFdw - Atari 2600 Demon Attack review. I only heard about these games but never got a copy of them. "007" and "Halloween" and "Lord of the Rings". Did anyone ever play any of these? No never played any of those Jakey V I don't think they were that widely released at least here anyway where I live in the U.K. Same as I didn't know there was a Gremlins Atari 2600 game till I just spotted it in the Amazon page advert that is linked to this site! Decathlon was hard as hell when you had to run the 1600. It was a battle of attrition.